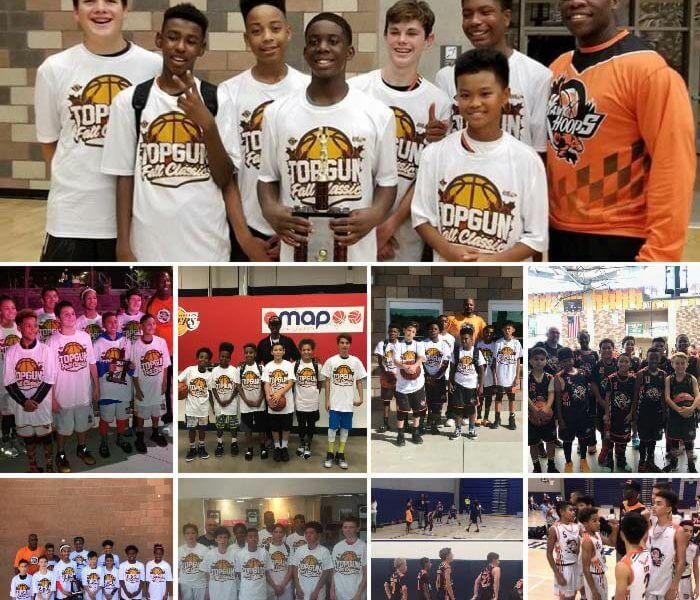 We were very fortunate to have 10 of our Hawk Hoops teams travel to San Diego and participate in the Indie Hoops Top Gun Fall Invitational classic. With teams attending from all over California our Hawk Hoops teams represented well. Every team was challenged while having success. Six of ten teams made it to the final championship game with three teams claiming the championship title. There were no serious injuries and all players were able to play the game they love. Great to see players bonding and enjoying their travel ball experience. Thanks again to all parents for the sacrifice they made attending the trip. This experience is priceless! 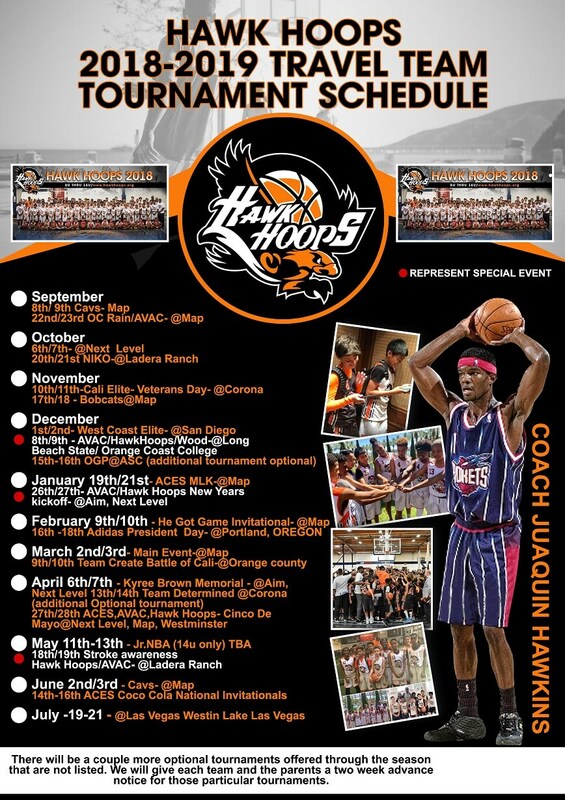 Hawk Hoops results in San Diego, November 4th and 5th. #4 Jeremiah Calhoun aka Boog is a versatile guard that is athletic that played well this past weekend. 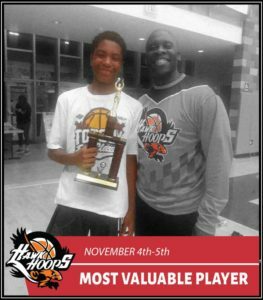 With his ability to be a play maker and score he helped his team claim the championship in the gold division where he was rewarded the MVP trophy. He has great potential to become even better with hard work and dedication. Congrats Boog!! #23 N’dya Parks one of a few girls in our program that have proven that she can compete against the boys. She is a smart player that is fearless and can rebound and score. She played well this past weekend and was selected as MVP as her team won the championship. Good job N’dya! #13 Derek Engram is known for his defensive intensity, quickness and ability to play hard. With his improvement on offense he has been able to have success on both ends of the floor. He earned the MVP trophy this weekend helping his team become champions. 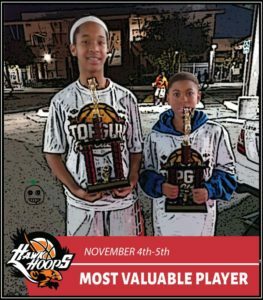 #42 Muluken (Koni) Wempe and #14 Taliyah McFerson were selected as players of the week for their play during the Top Gun Indi Hoops Fall Classic in San Diego. Koni has always been a pleasure to coach and his play this weekend helped energize his team and advance them in the tournament. He displayed tremendous stamina and effort every game with his tenacity and aggressiveness. He is a great leader by example with his effort on the court, hustle and attitude. Very unselfish player. Tailya McPherson is a 11 year old with great overall potential. She has great size and is determined to be the best she can be. With her strength, rebounding and ability to dominant she has a bright future. What a pleasure to watch these players develop and be great teammates. Congrats to both players. #4 Jeremiah Calhoun aka Boog is a versatile guard that is athletic that played well this past weekend. 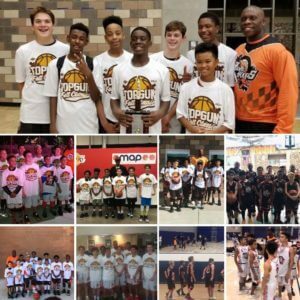 With his ability to be a play maker and score he helped his team claim the championship in the gold division where he was rewarded the MVP trophy. He has great potential to become even better with hard work and dedication. Congrats Boog!! #23 N'dya Parks one of a few girls in our program that have proven that she can compete against the boys. She is a smart player that is fearless and can rebound and score. She played well this past weekend and was selected as MVP as her team won the championship. Good job N'dya! #13 Derek Engram is known for his defensive intensity, quickness and ability to play hard. With his improvement on offense he has been able to have success on both ends of the floor. He earned the MVP trophy this weekend helping his team become champions.